A mere couple of days after the hatchlings flew the nest the parent Oriental Magpie-Robins were back, patching it up then promptly producing a new clutch of eggs. The first of those eggs has now hatched. 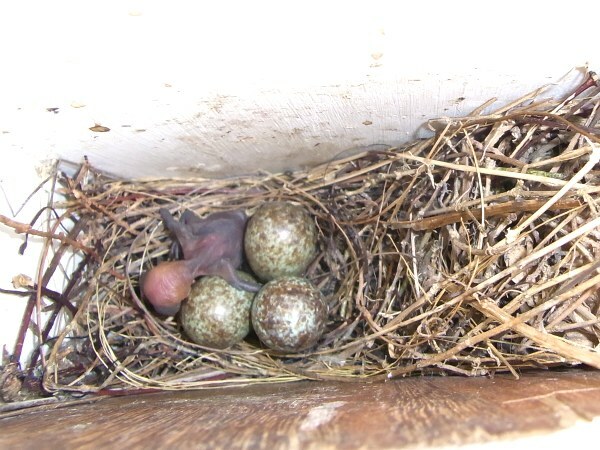 Of the eggs, one is old, from the previous batch, so the world can look forward to three new birds, all being well.